Do I need to buy Visual Studio? Copyright © 2008-2016 CodeDrive. All rights reserved. 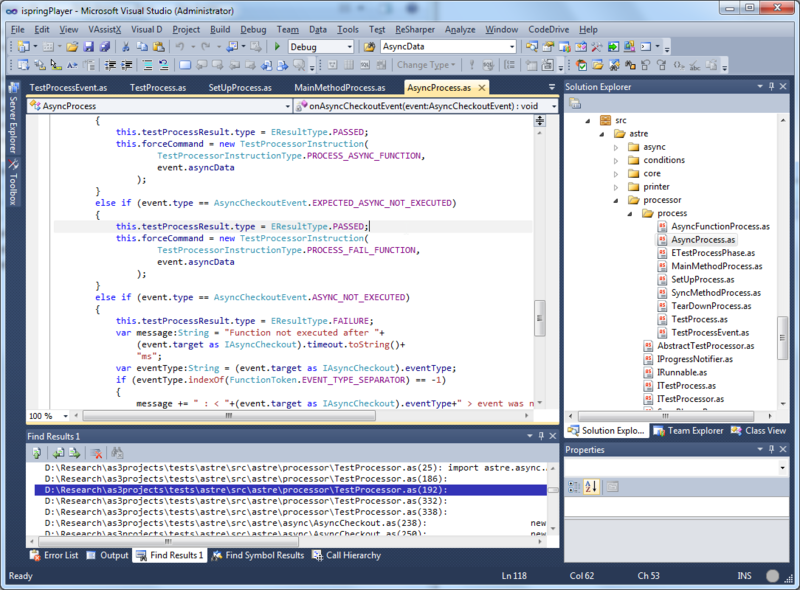 CodeDrive is a high-perfomance ActionSript 3 IDE based on Microsoft Visual Studio® 2010 - an industrial strength development environment widely recognized among professional developers all over the world. 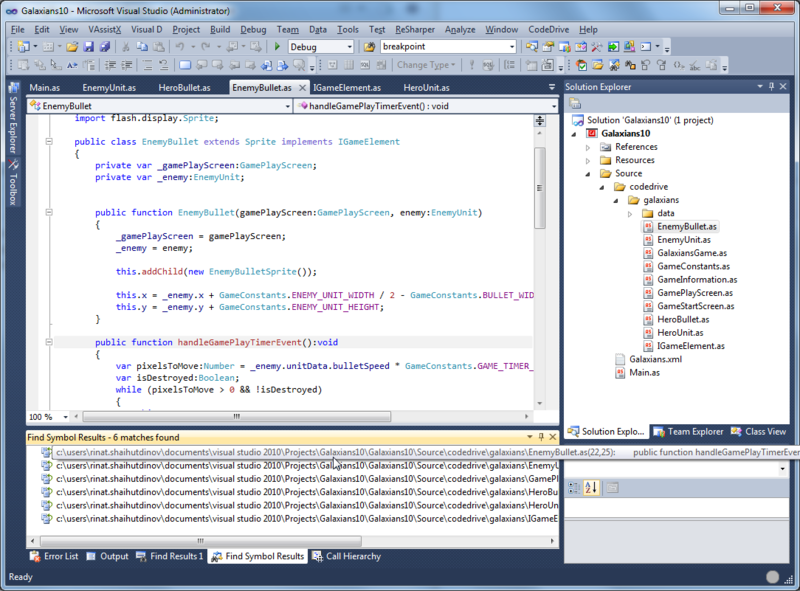 CodeDrive – a high performance Flex development environment – is a valuable contribution to Flash game development or mixed Visual Studio and Flash projects. CodeDrive’s comfortable programming environment with fast ActionScript 3 compiler helps Flash developers and everybody who is interested in Flash programming to increase the productivity of complex rich media projects development. 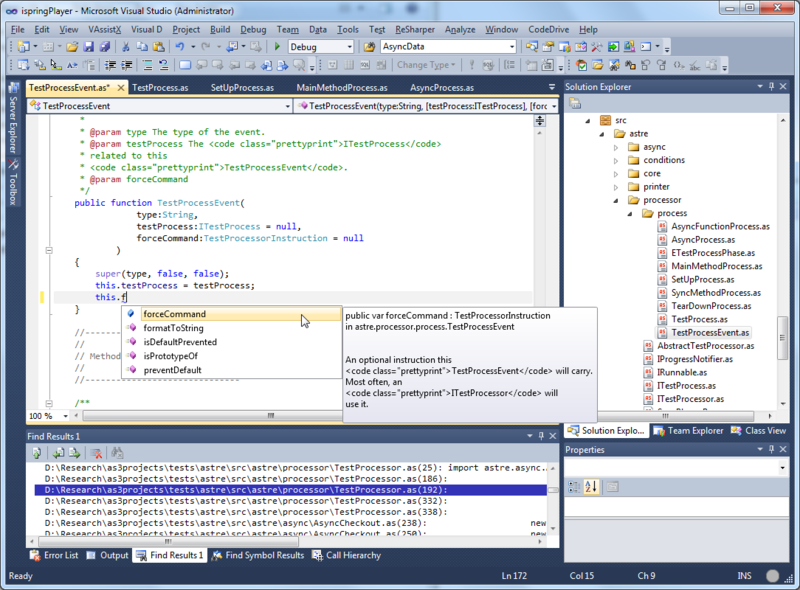 CodeDrive enables for .NET developers to create Flash fontend for their applications in the same IDE. 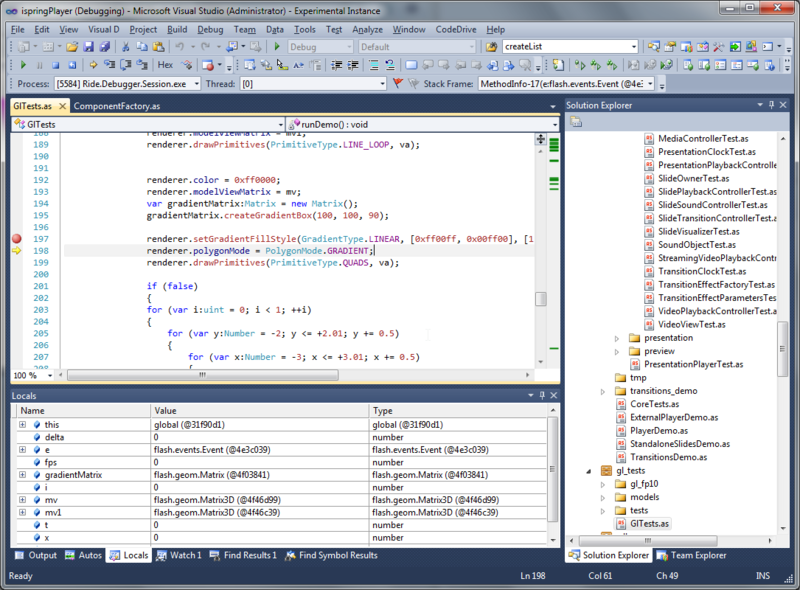 Instead of using separated Flex IDE and manually invoking the compiler they can develop application in the familiar surroundings. CodeDrive provides the advanced implementation of the Intellisense for ActionScript code that increase development performance, while real-time error highlighting allows writing clear code with maximum effectiveness and no need to debug. CodeDrive helps to easily find the required flash as3 code and quickly make necessary changes with the effective navigation features like Navigation Bar, Object Browser, Class View, Find All References, Go to Definition, Go to File Member and others. 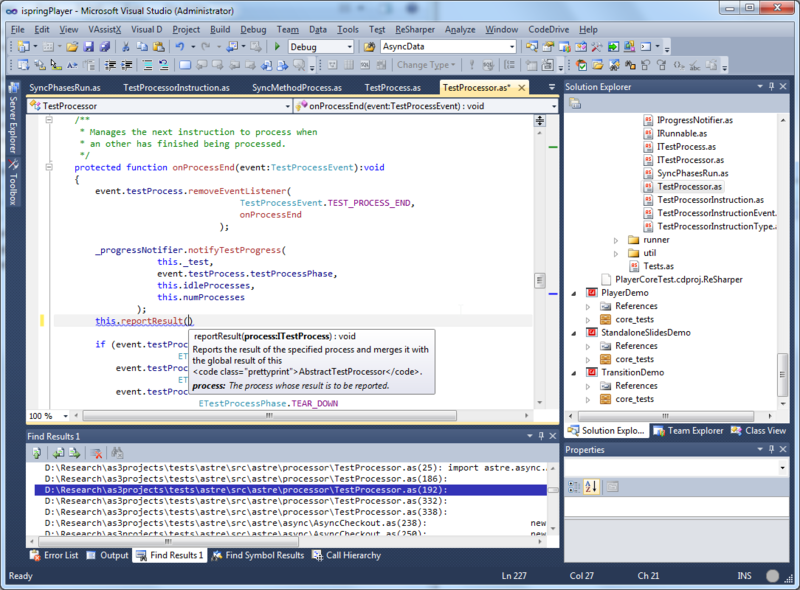 CodeDrive Flash Debugger allows for rapid search and correction of errors. Advanced Flash Debugger in CodeDrive supports simple and conditional breakpoints, break on hitCount, call stack, and interactive expression evaluation. 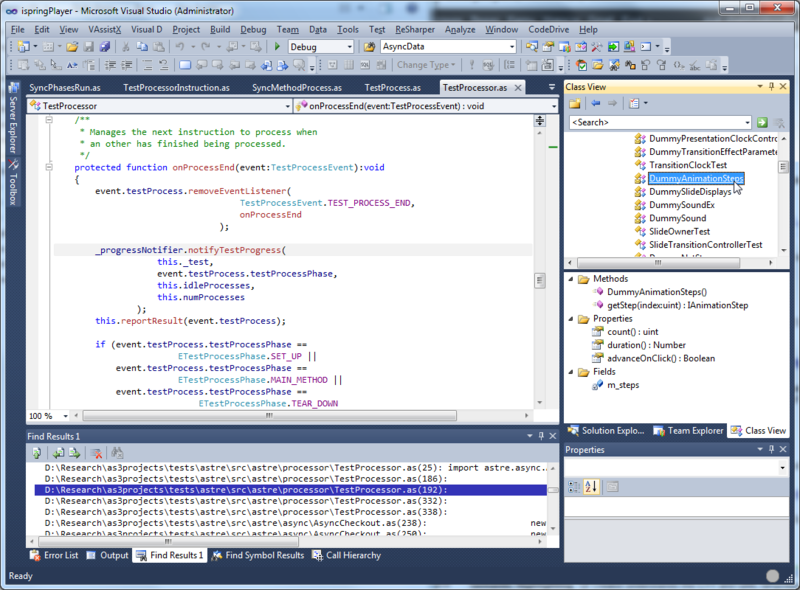 Unique feature of CodeDrive Debugger is joint debugging of Flash projects with any Visual Studio projects (.Net or native), and simultaneous debugging of multiple Flash projects. We use session and persistent cookies for tracking your visits of the site and Google Analytics cookies for visitor statistics to give you the best, more relevant browsing experience and to improve our website. Using this website means that you agree with our use of these cookies.